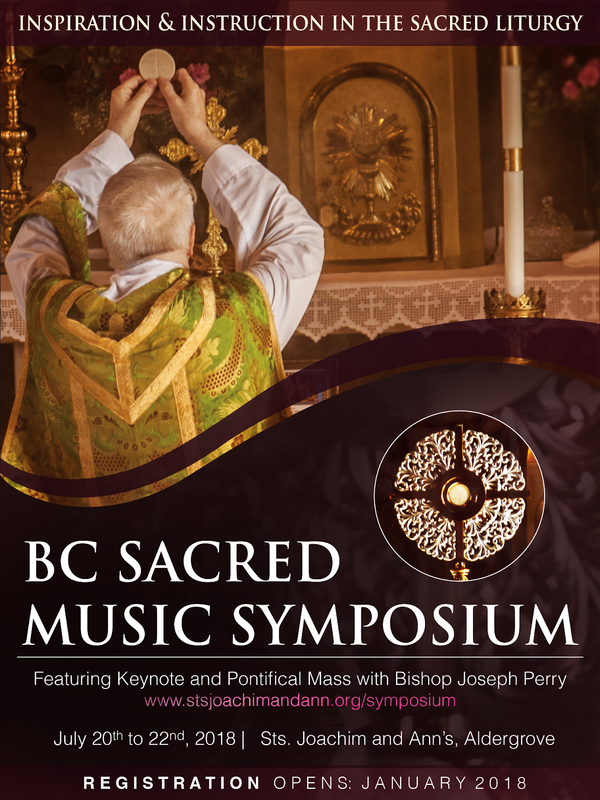 The organizers of the BC Sacred Music Symposium are pleased to announce that early registration is now open through the end of February. You can find the registration link, and additional information about everything included with registration, at the following page of the website of Ss Joachim and Ann Parish in Aldergrove, British Columbia, which is hosting the event: www.stsjoachimandann.org/symposium. As we noted last month, the B.C. 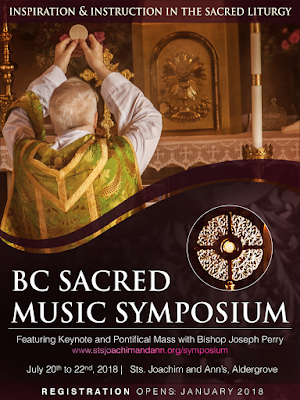 Sacred Music Symposium will take place from July 20-22. The aim is to bring together musicians of all skill levels, and all people of good will with a general interest in sacred music, for a weekend of instruction, collaboration and fellowship. There will be an opportunity to attend practical workshops (beginner, intermediate and masterclass) and lectures, and to experience the riches of the Church’s musical tradition in the celebrations of Mass, in both the Ordinary and Extraordinary Forms, and the Divine Office. The keynote speaker and celebrant of the symposium’s principal Mass will be Bishop Joseph Perry, Auxiliary of the Archdiocese of Chicago.